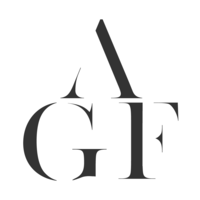 Another week in 2016 is coming and going and I’m just shocked at how fast it’s flying by! We are well into fall now and headed towards the colder month. The days are longer and darker. 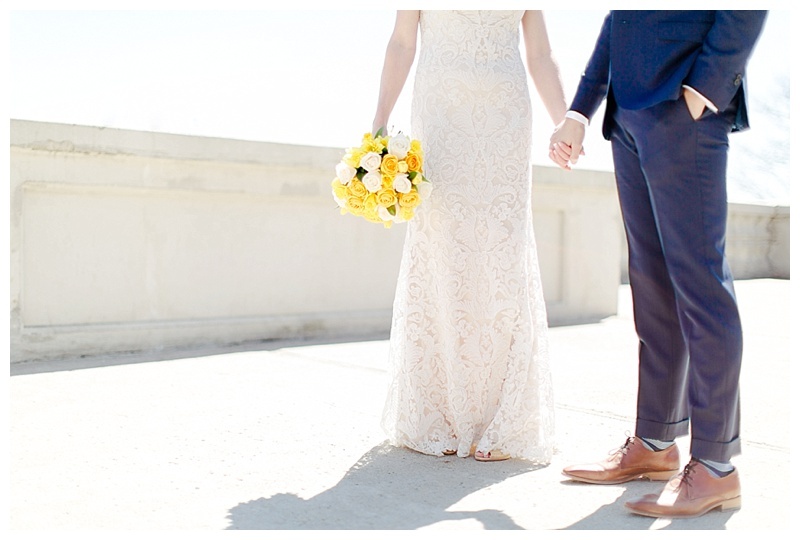 With that, I thought I bring some sunshine to this cold and rainy season with this charming bright wedding. 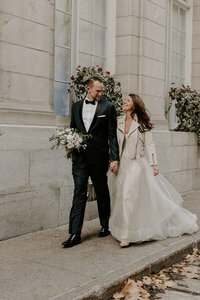 Tricia (Dr.) and Tamás’ April 2016 wedding was what you call simple and tasteful. Mostly all white with touches of yellow. Of course, Lisa was the photographer and her style of photography is so pleasant to the eye. Bright, soft and simply enticing. Her pictures feel like a warm, soft blanket draped over your shoulders. 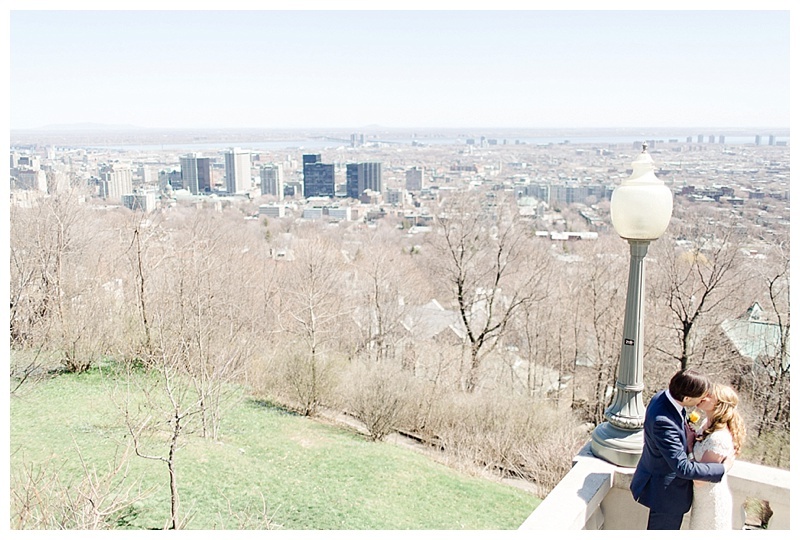 Tricia and Tamás decided on a first look on Mont-Royal overlooking our beautiful city (well at least from here you can see all the orange cones!). Even though it was April 25th and the trees had yet to have any leaves on them, the weather was gorgeous. 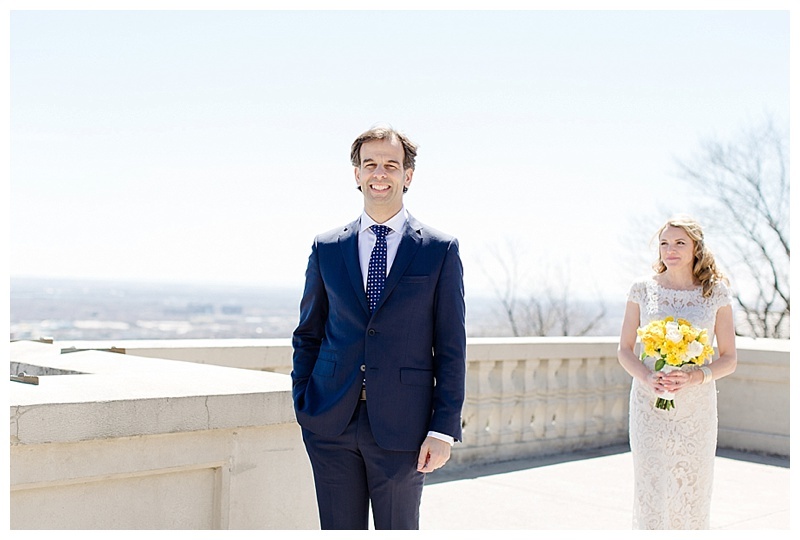 The sun was out and, against such a light background, the bride and groom stood out. Seriously though, how stunning is Tricia?!? Their ceremony took place at Ascension of Our Lord. Their wedding party in line with the blue and yellow theme. And is it just me or are little boys at weddings the cutest? I’m seriously a sucker and they get me every time! The reception followed at a place I know all too well. We ensured the room was set up exactly the way Tricia and Tamás envisioned it. The big windows let in the bright light of the perfect spring day, which made the yellow tulips pop out even more. A wonderful day all around. The food was great, the speeches were all hilarious and people danced the night away. All the best to Tricia and Tamás.